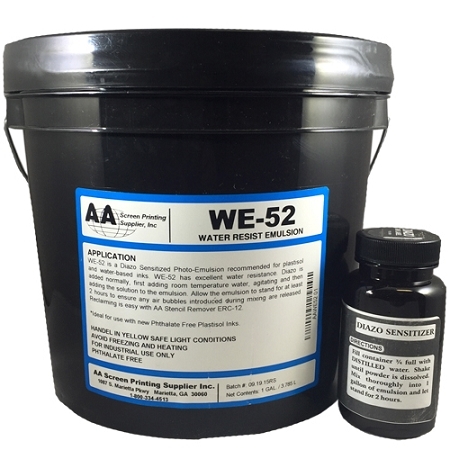 AA WE-52 is a Diazo Sensitized Photo-Emulsion recommended for plastisol and water-based inks. WE-52 has excellent water resistance. 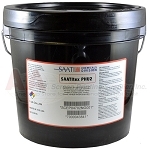 Diazo is added normally, first adding room temperature water, agitating and then adding the solution to the emulsion. 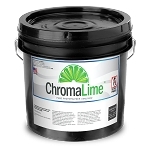 Allow the emulsion to stand for at least 2 hours to ensure any air bubbles introduced during mixing are released. 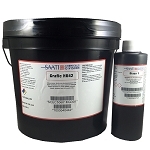 Reclaiming is easy with AA Stencil Remover ERC. Available Size: 1 Gallon, 1 Quart.